Whatsapp is simply started with the smartphones i.e..(The application is truly ment for Android, iOS user). However once the usage of the app has doubled day by day and demand for the app also doubled.So this created the developers to develop the app and created it to support in any web connected phone. Thus currently whatsapp supports any phone that has web association. So whatsapp has icreasing their support to people. So Now even for Nokia S40 the whatsapp can be used. This is what we are going to discuss. The below are the minimum requirements to download whatsapp S40 for free to your mobiles. Mobile should have of internet connection. Should be a Nokia 40 Series. 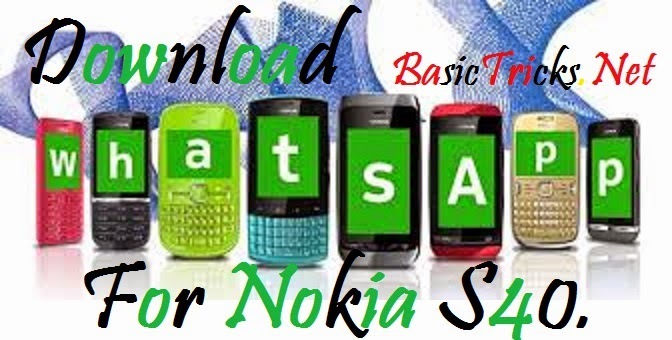 Download Whatsapp for Nokia Asha: 201. Check whether your device is present in it or not. If present then you are ready to download whatsapp to your mobile. Click the download button to Download Whatsapp for mobile. You have reached the correct place and learned “How to Download whatsapp for Nokia S40 Series”. If you have any doubts comment us. we will respond for your Doubt. Thanks Ali Shehab. Visit the blog for more Updates.